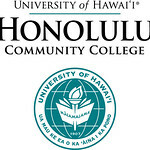 Multiple University of Hawaiʻi campuses have been recognized for their excellence by the Honolulu Star-Advertiser’s Hawaiʻi’s People’s Choice “Best of” Awards. The Hawaiʻi’s Best Awards are chosen each year by the readers of the Honolulu Star-Advertiser. More than 100 categories are included in this year’s publication, which was released on June 17, 2018. This was the fourth year in a row that Leeward CC received recognition in two categories.